Hold on just a moment before you drop $1,000 (or more!) on an iPhone X. Don’t spend buckets on an expensive phone from Samsung, Google, or anyone else. Do you really need that flagship handset? The list of reasons not to buy one of the latest and most expensive phones gets longer every year. In the not-too-distant past, buying a mid-range phone meant a woefully out-of-date operating system, sluggish performance straight out of the box, and cameras that could easily be outperformed by the webcam on the front of your laptop. We’re not trying to pretend there’s no noticeable difference in performance between the various phone tiers, because there is, but whether it’s actually worth the price markup is another question. When’s the last time you ventured outside the likes of WhatsApp and Twitter to do something that really pushed your phone’s hardware? In most cases, last year’s flagships are still on sale—if you want to hit the refurb and eBay market then you can go back even further in time. Are the 2017 versions better? Yes. By all that much? No, not really. Consider this: The $550+ iPhone 7 can do everything the $1,000+ iPhone X can, except charge wirelessly and unlock your phone with your face. Oh and the screen’s a bit smaller and the bezels are a bit thicker. That’s $450 worth of difference in price for two features that you might not find all that useful anyway. Alternatively, try picking out the differences between the rear-facing camera on the Samsung Galaxy S7 and the equivalent one on the Samsung Galaxy S8. We’ll give you a clue—there aren’t any, save for some slightly smarter image processing tricks available on the newer model. Both these phones feature a 12-megapixel, f/1.7 snapper with optical image stabilization. This is the way the market is now: A little waterproofing here, a little wireless charging there, a bump up in speed. While there’s no doubt the Pixel 2 is a better phone than the original Pixel, the latter will cost you $100 less, has a bigger battery, and comes with a headphone jack. You’ve no doubt noticed that the iPhone X starts at $1,000, while the Samsung Galaxy S8+ will set you back at least $825, and the Google Pixel 2 XL is pegged at the $850 mark. Those are pretty steep prices, and the trend only seems to be going one way. It’s been a long time since a flagship phone appeared from the big-name manufacturers that was priced significantly below expectations (Nexus 5, anyone?). It’s your money, obviously, but you could opt to keep your current phone and spend that $1,000 on a brand new laptop, or buy a plane ticket to, you know, anywhere in the world. Or maybe you could buy (nearly) three freaking iPhone SE handsets. The high prices would be slightly easier to stomach if the mid-range phones out there were only a short distance behind, but that’s not the case. For instance, you can pick up the very decent Nokia 6 with stock Android for under $300, SIM-free. With each passing year, the choice of cheaper, better value phones gets wider. As we mentioned above, a lot of the improvements to this year’s flagships are cosmetic—in terms of the software on board, and the apps you can run, they’re almost identical to mid-range handsets and the flagships of yesteryear. 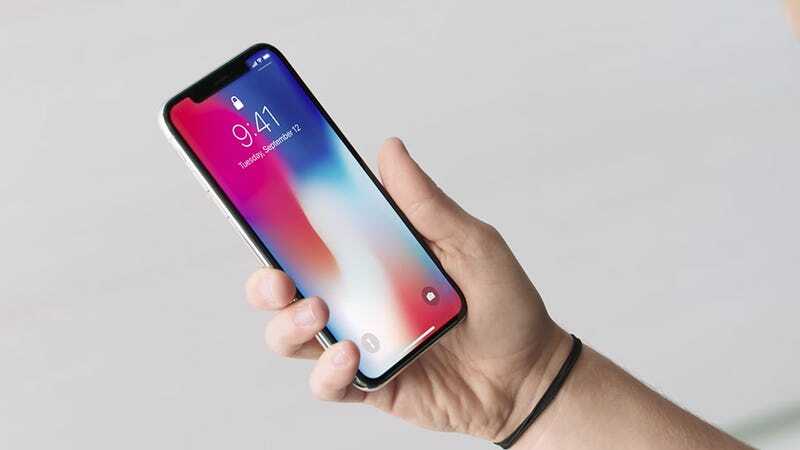 iOS 11, for example, will run on anything from the iPhone 5S onwards, the Instagram app for iOS will run on any device that can handle iOS 9.0, and so on. Over on the Google side of the fence, Android has a well-publicized problem with fragmentation, but considering that all of Google’s apps update separately from the OS, it’s not as a big a deal as you might imagine. Android itself is now basically a bunch of underlying protocols and settings—the headline new feature in Android 8.0 Oreo is being able to snooze notifications—so those of you on 6.0 and 7.0 aren’t missing out too much. To be clear, it’s better to be on the most recent OS updates, and your apps are going to be snappier on newer hardware, but the point is that these differences are becoming smaller and smaller with each round of flagship launches. Maybe you’re still going to splurge on the iPhone X and really make the most of that new wireless charging feature Apple introduced this year. Or maybe you’re already in love with your Samsung Galaxy S8 and watch a ton of Netflix on its lovely display. For the majority of us, though, the flagship appeal just isn’t what it used to be.